All Clocks and Watches either sold from our showroom, or subject to repair in our workshops, are covered by a comprehensive guarantee for a minimum of one year, but we are frequently asked 'what then?'. Our recommendation is that periodically your treasured timepiece is returned for servicing and subsequent to that full maintenance service, we provide a further one year guarantee. 'Why regular servicing?' you may ask, and the answer is simple. Just as in any mechanism with moving parts, good lubrication is required to prevent wear and damage. 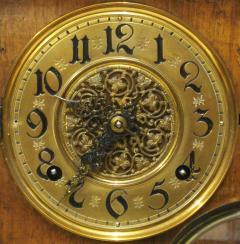 Over time the specialist oils and greases used in clock mechanisms become dry and hard and fail to work correctly. The period of time involved varies according to the working environment of the mechanism - warm rooms and the inevitable dust and pollen in the air all contribute to the degradation. Once the lubricants have ceased to work effectively, the movement slows down and wear to the pivots and teeth on the barrels and wheels starts to occur. 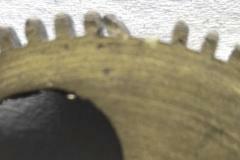 The mix of worn metal, dust and old oil acts as a form of grinding paste and the wear process is accelerated. In addition, as more strain is placed on the mechanism, in rare cases it is possible for the mainsprings to fail, and the result can be catastrophic! The rapid release of power through the mechanism can cause significant damage, breaking teeth on barrels and wheels, bending the arbors and even breaking pivots. Although such damage can usually be rectified, as is obvious the cost can be prohibitive rendering your timepiece financially beyond viable repair. Thus to maintain your timepiece in best condition and to allow the next generation to also benefit from the experience of ownership, we recommend a full maintenance service approximately every five years. In addition, we would suggest an interim visual fault inspection and re-oil process is carried out approximately three years after the full service. 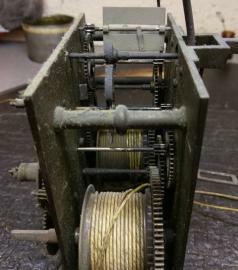 Our Full Maintenance Service requires the complete dismantling of your clock movement and inspection for wear and damage. 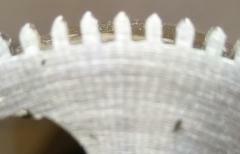 All worn bearings are replaced and refinished and any worn pivots are re-burnished. Where applicable mainsprings are removed and inspected for signs of wear or deterioration and checked for strength. Subsequently all components are cleaned in horological fluid in an ultrasonic machine, and when cleaning is complete, rinsed and dried. Any further cleaning and finishing is undertaken by hand and the movement reassembled, re-oiling and re-greasing with fresh horological lubricants in the required areas. The reassembled movement is then put on test for the appropriate period and regulated to the most accurate time keeping achievable. Final regulation may be required in the home environment as position and temperature variations may affect true time keeping, and if required, we will be happy to advise. 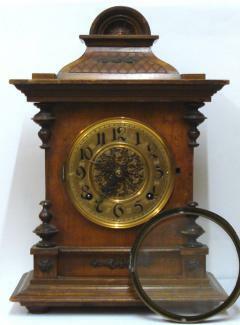 Restoration of timepiece movements is a very different process from the standard periodic servicing that we recommend. The goal of restoration is to return the movement to as near original condition as possible. 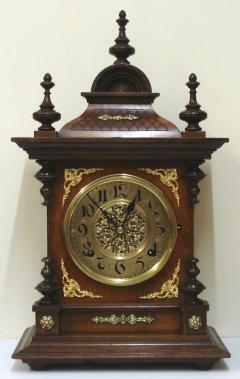 The movement is subjected to the standard servicing practices but is then completely refinished. Every part of the dissembled movement is painstakingly and meticulously refurbished. 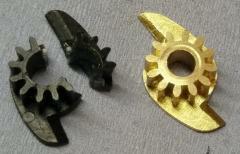 All fixing screws are re-slotted and polished, and re-blued where appropriate. All return springs and click springs are re-grained and all levers and arbours refinished. 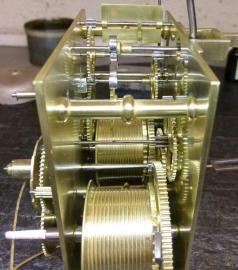 Every part including the movement plates are made to look like new - particularly attractive when the finished movement is designed to be visible, such as in carriage, and other glass panel clocks. Whether through accidental damage or just the passage of time, casework can become in need of repair or general overhaul and restoration. 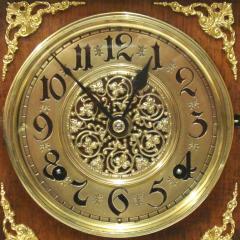 For brass cased clocks, our specialists are able to completely dismantle the casework, strip off old lacquer, clean and re-polish and finally re-assemble after applying a new protective finish that will return the case to it's former glory and maintain the look for many years to come! For wooden casework our highly skilled craftsmen can undertake all your requirements from a simple clean and re-polish to a full restoration, including the make up of new mouldings and correction of other losses and the repair of joint-work. All our work is carried out to the highest of standards and we pride ourselves in meeting with your full expectations and satisfaction. For brass dials we are able to strip back and clean and re-apply numerals, and subsequently refinish with lacquer, where appropriate. For silvered dials similarly we would strip, clean and re-silver using traditional methods, before re-applying the numerals and other dial details. Painted dials can be more problematic and following inspection we would advise accordingly. Our services can involve a simple clean and re-touch to the numerals which improves the clock functionality and maintains originality, or a complete strip and repaint restoration. Because we understand the importance of sentiment and emotional attachment and the need to keep old memories alive, when we encounter a treasured timepiece that we have to advise is 'beyond economic repair' we can provide a re-purposing service that converts the timepiece to an alternative use. We can replace the old mechanical drive with a new quartz movement, retaining where possible the look and functionality and aesthetics of the old timepiece. Additionally, it may be possible that you possess a working timepiece that no longer meets your style and design requirements and here we may also be able to help. In this situation we can completely revamp the casework, custom finishing to the retro style or shabby chic look that you specify. Because of our lifelong involvement with all things mechanical we are well positioned to undertake repairs and servicing on all types of clockwork. We are happy to apply our skills where we can to clockwork toys, cars and trains and other clockwork drive mechanisms such as barographs, music boxes and gramophones, providing servicing and restoration, as required.